Is your mom a food or wine enthusiast or does she love smart kitchen gadgets? Are you entertaining for Mother’s Day/ Posh Beauty Blog has discovered a few Posh items that foodie moms will love! 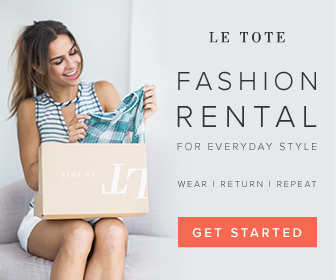 It’s Posh Beauty Blog's Mother’s Day Gift Guide – Foodie Edition! Paul Giamatti & Sideways made us all obsessed with Pinot Noir a decade ago, and now Rosé is having its own moment! 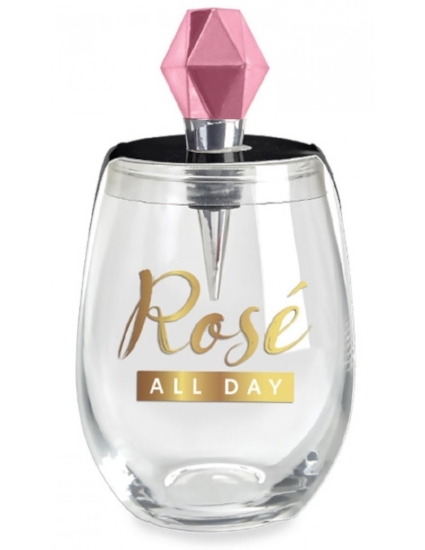 If mom loves her rose, she will LOVE this Rosé All Day Stemless Wine Glass & Bottle Stopper. Also super cute are their Pineapple, Mermaid Tail, and Pink Flamingo Wine Bottle Stoppers.. Purchase: AlwaysFits.com. 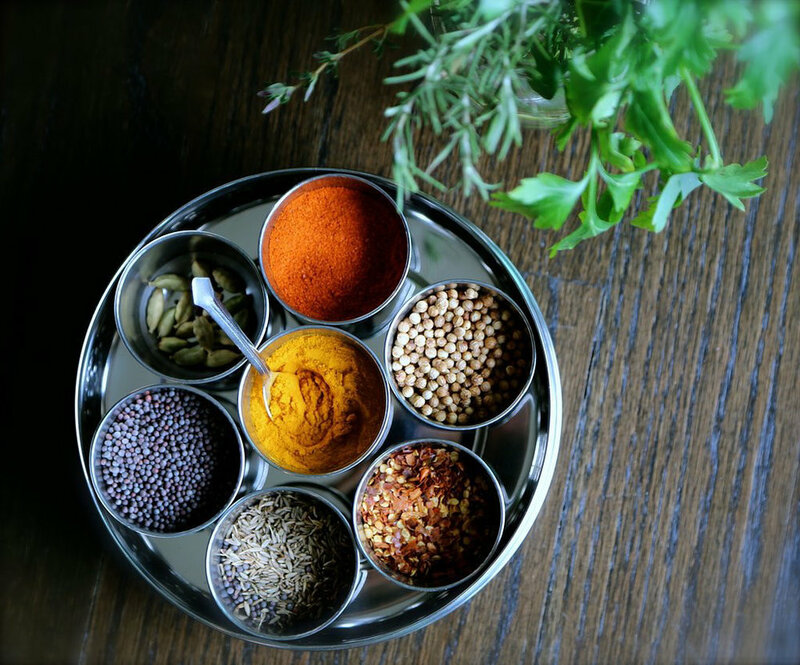 Zen of Slow Cooking spices adds savory serenity to family meals and provides employment for adults with developmental disabilities. For the mom who loves to cook from scratch and use her slow cooker, the Zen of Slow Cooking is the perfect gift. There are 9 spice blends, including Coq au Vin (their best-seller), Daube Provençale (beef stew), Southwest Fiesta (chicken tortilla soup) and Smoky BBQ (pulled pork) and seasonal Mulled Spices for wine and cider, plus a Sweet & Spicy cinnamon-based blend that’s ideal for breakfasts and desserts. They outsource their packaging to Planet Access Company (PAC), a packaging, shipping and warehousing company that employs adults with developmental disabilities. PAC is an enterprise of Search, Inc., a 501(c)(3) not-for-profit that serves adults with special needs. For all those busy mothers out there, the gift of HelloFresh is EASY – both for the gift giver and the receiver. 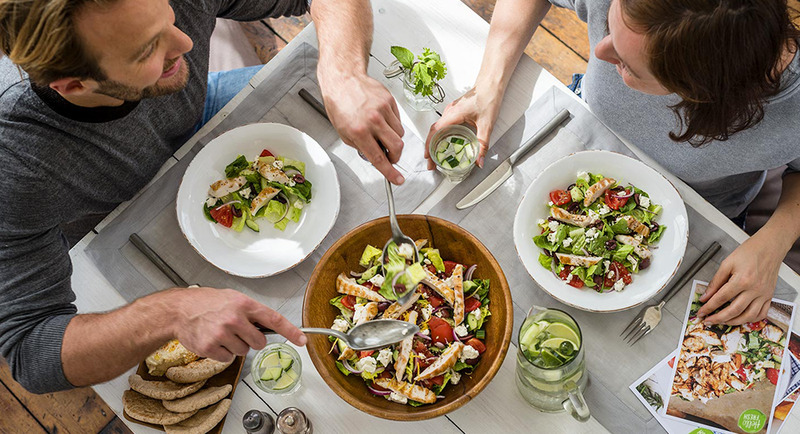 For moms juggling everything from carpool to ladies’ night, HelloFresh helps get a delicious, nutritious meal on the table in no time by taking care of the tough parts – the planning, shopping, prep and delivery – allowing extra time to be spent with family.Perfect for the whole family to get involved, HelloFresh’s Family Box features kid-friendly fare that parents will love too! How to give the gift of HelloFresh: All you have to do is visit HelloFresh.com and head over to the Giftcard section to check out the various box options to gift to your friends and family (Classic or Veggie Box for 2 or Family Box for 4). Gift-givers can either a) have the gift card e-mailed directly to the recipient or b) to provide a physical gift, simply provide their own email as the recipient's address to receive a downloadable PDF to print and fold into the perfect little gift card! EatSmart Products, a leading designer and manufacturer of innovative kitchenware, would like to introduce the EatSmart Precision Elite Digital Food Thermometer. The Precision Elite Digital Food Thermometer takes the guesswork out of grilling and roasting food. Simply insert the 1.5mm stainless steel probe into the thickest part of the meat and in 3 seconds, the proprietary sensor registers an extremely accurate internal food temperature. Other features include an innovative splash proof design and an anti-microbial nylon case that inhibits bacteria growth. The thermometer is FDA-approved and runs on 2 AAA batteries, which are included. At only $34.95, the Precision Elite makes a great Mother's Day gift for Mom. Take the guesswork out of grilling and roasting while impressing family and friends with meals cooked to perfection. 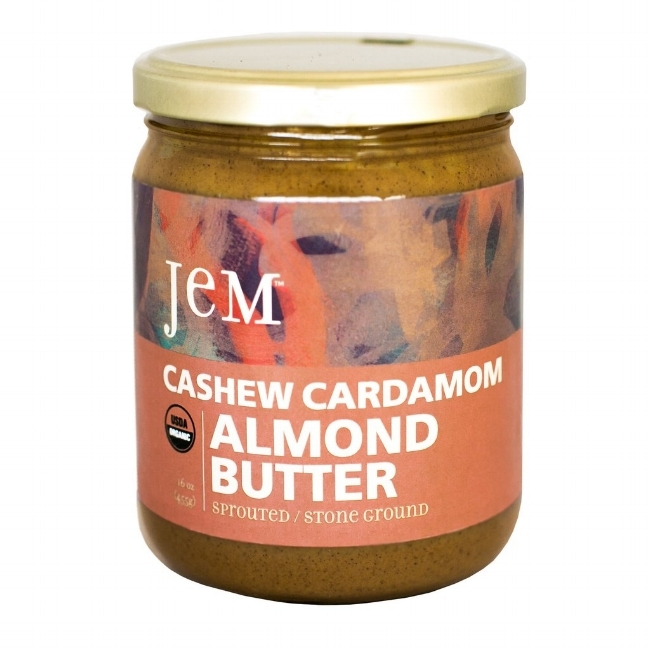 Jem Nut Butters are made with superfoods and sprouted almonds. Creative flavors combinations, organic, and handcrafted in Bend, Oregon. The Cinnamon Maca Almond Butter recently won a Good Food award for sustainable practices. Homemade infusions are a great gift idea—offering unique flavors not seen in stores and a personalized, handcrafted touch. What’s better, they are so easy to make at home—simply add the flavor element of your choice to a neutral spirit, such as Everclear, and allow it to soak in the alcohol in order to extract the flavor. 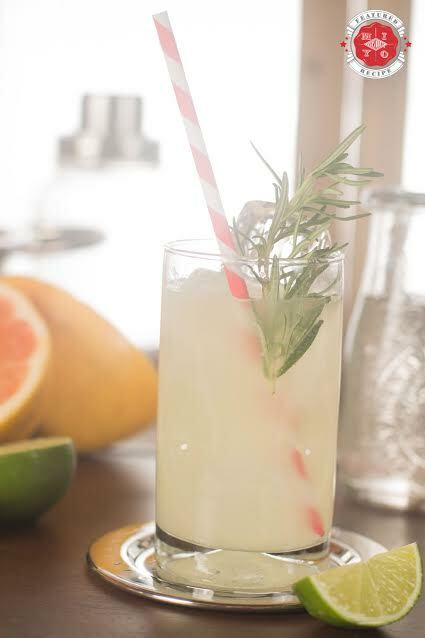 Virtually any flavor she loves can work in an infusion—from grapefruit to lavender—which can be enjoyed on its own or in a unique, top-notch cocktail crafted right in your kitchen. Stay tuned for the Pompelmoncello Rosemary Mojito. Recipe made with Everclear. Montchevre, the leading goat cheese manufacturer in the U.S. and producer of the first non-GMO goat cheese is perfect for Mother’s Day entertaining, because who doesn’t love a good cheese selection? 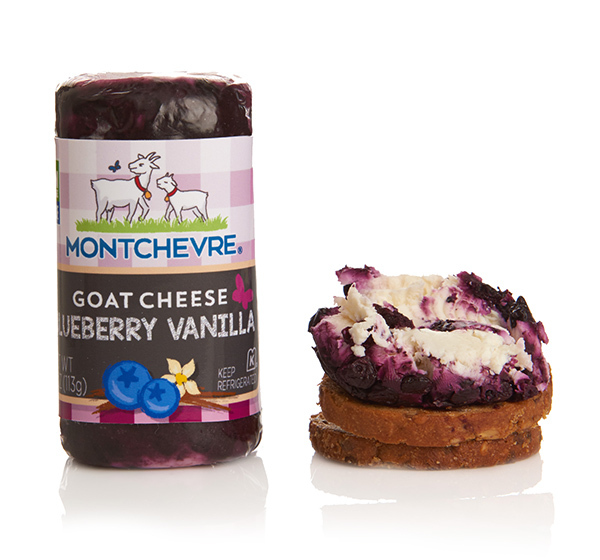 Montchevre has the most amzing seasonally inspired goat cheeses. Montchevre’s 4 oz. goat cheese logs are also great in your Mother’s Day gift basket with some artisan crackers and a great bottle of wine. Some of the flavors I love are the Blueberry & Vanilla and Lemon Zest. Simply heavenly – so cxreamy! Purchase : Montchevre is available at major retail locations nationally including Bristol Farms, Gelson’s, Whole Foods, Target, Sam’s Club, Ingles, and Safeway, as well as an expanding list of independent grocers throughout the county. You can also shop: Montchevre.com. The perfect gift doesn’t have to be monotonous or break the bank. Give mom a wellness treat that’s just as much healthy as it is delicious: K’UL Chocolate. 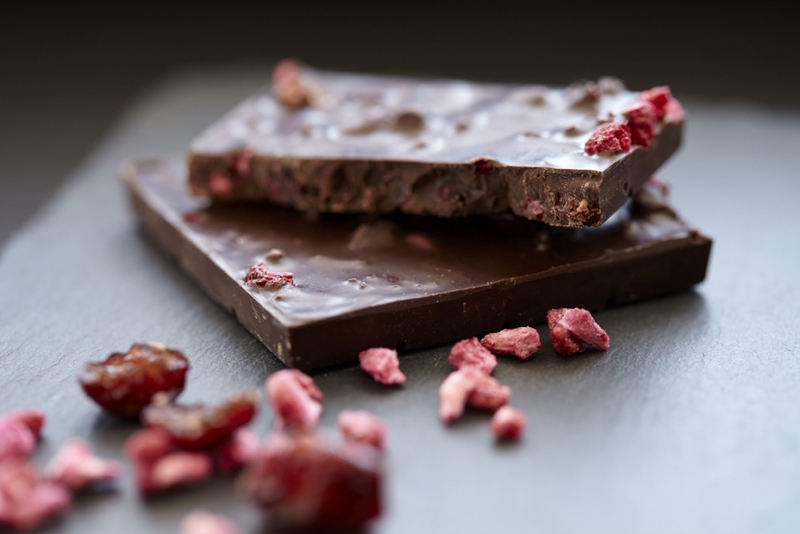 With each small batch crafted from the highest quality dark chocolate, and fused with special superfood ingredients like pomegranate and coconut (that aid in anti-aging), K’UL Chocolate makes the perfect Mother’s Day treat! Tip: high quality dark chocolate has antioxidant flavanols that help reduce inflammation of the skin. It also increases circulation in the skin and improves its ability to retain moisture, which can reduce the appearance of wrinkles. Super fruit, pomegranate, found in K’UL’s STAMINA bar contains special acids that support anti-aging by inhibiting free radical damage and protecting and preserving the collagen in your skin. Mumm’s Napa Brut’s signature rosé has an eye-catching pink coral color, robust red fruit flavors and an elegant finish. Pinot Noir is responsible for the wine’s soft texture and forward fruitiness, while the Chardonnay contributes structure and elegance – the perfect bubbly for Mom on Mother’s Day. Mumm Napa Brut is perfect for gift-giving and entertaining on Mother’s Day! Clos Pegase 2014 Mitsuko’s Vineyard Chardonnay is another great pick for Mother’s Day. Notes: This amazing possesses intriguing complex aromas of ripe mango, papaya, Meyer lemon, Key lime, tarte tatin, white narcissus and beeswax, framed by spicy toasty oak. A rich yet perfectly balanced entry leads to a broad mid-palate with an energetic drive and delicious fruit, finishing with a fascinating tension between opulence and minerality. Another great gift idea for the health conscious mom KIND Bars, DIY a c pretty gift basket of KIND bars, selecting the flavors their mom likes. Another idea is to package a selection of KIND bars and give it to mom with a cheese board and a bottle of wine (great suggestions above). May KIND Bars go great paired with cheese, so it’s perfect for mom to have a nice wine and cheese night. Kraut Making Kit f Celebrate worldly flavors with this fun fermentation kit. This all new set has the equipment, ingredients and instructions to turn fresh cabbage into kickin’ kraut, or even kimchi. Mexican Fresh Cheese Making Kit: Celebrate authentic Mexican flavors with the freshest queso -- including Oaxacan Quesillo (like Mexican string-cheese! ), Queso Fresco and Queso Panela -- from this update to FarmSteady’s original cheesemaking kit. Create the Perfect Brunch Meal for Mom with CucinaPro & Kuissential Kitchen Gadgets. Show the mom in your life how special she is this Mother’s Day with the best breakfast in bed she has ever had! Avoid long waits at popular brunch restaurants on Mother’s Day and make your favorite brunch at home! CucinaPro’s kitchen appliances make cooking complex breakfast dishes from around the world an easy task for the everyday cook. They also make great gifts. The CucinaPro Bubble Waffle Maker brings the delicious popular pull apart treats of Hong Kong egg cakes known as egg waffles right to your own kitchen! 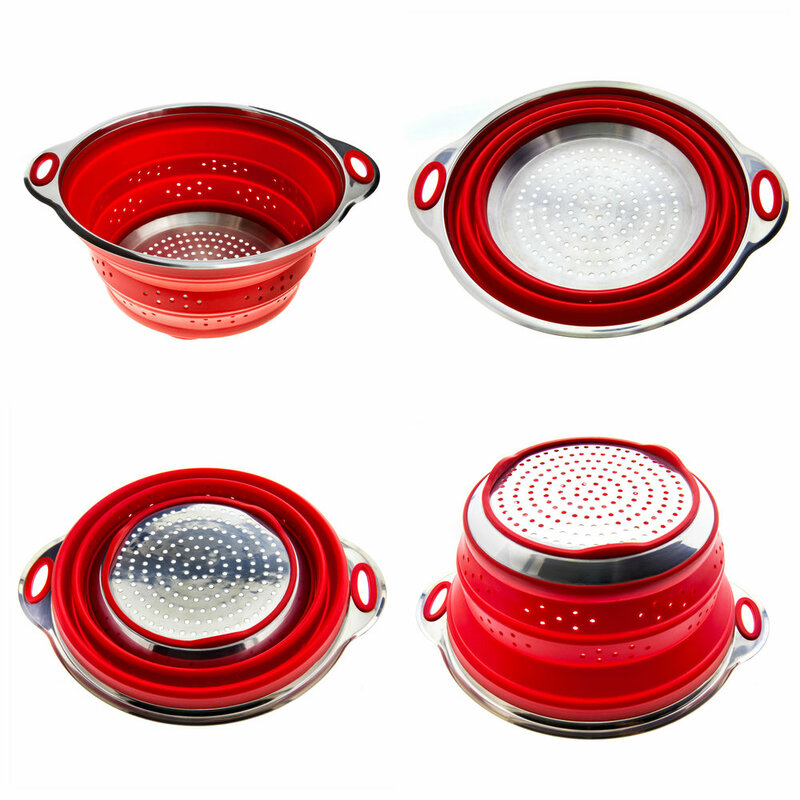 Using this specialty-designed pan you can create bubble-shaped waffles with crispy golden outsides and tender centers. The waffle maker has nonstick coated cooking plates for easy release and convenient cleanup. This Bubble Waffle Maker has an easy-lock closing mechanism and is available in both black and white colors. This makes the perfect treat at any time of the day to show your Mom how much you care! 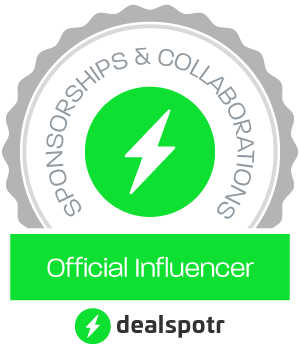 Purchase: Bed Bath & Beyond, Amazon, Cucinapro.com and Scsdirectinc.com. Gifts from GourmetGiftBaskets.com truly delight any mom or grandma. 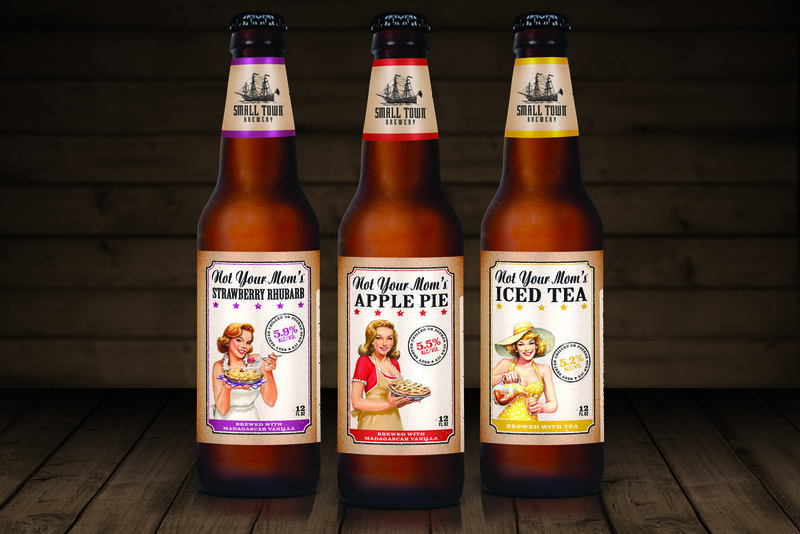 Here are some brand new, 2017 Mother's Day offerings and some favorites! Love for Mom Cookie Gift Box: Cookie-craving Moms will get a great surprise this year with this gift box. GourmetGiftBaskets.com has created this gorgeous gift showcasing six different varieties of gourmet offerings: Chocolate Chip Cookies, Fudge Brownie Cookies, Lemon Sugar Cookies, Pecan Sandy Cookies, Oatmeal Raisin Cookies, and Peanut Butter Cookies. There's something for almost every Mom here! All My Love Cheesecake Bites: Show Mom just how much you care about her this Mother’s Day with these sweet treats! We’ve taken luscious cheesecake bites and dunked them in the finest Belgian chocolate. Each bite is beautifully decorated to show her how much you care. If you want to make Mom smile, these gourmet treats are just the thing! To see the full selection of Mother's Day gift ideas (baskets, towers, cakes and more), click here. 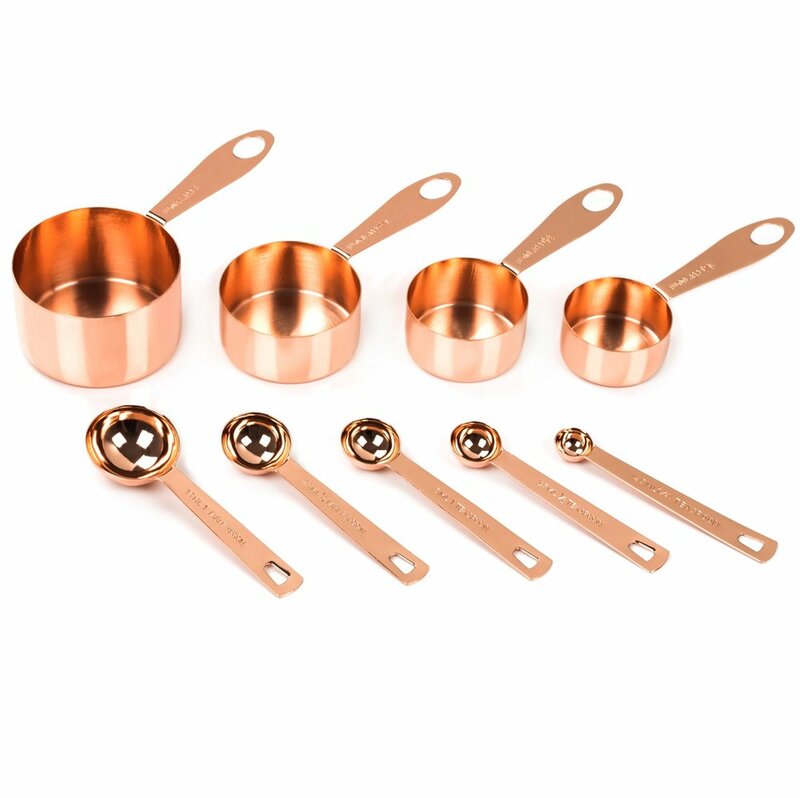 Mom will love gorgeous copper-plated measuring cups and spoons from Simpler Life. This set of 9 is one of the most beautiful set of measuring cups and spoons on the US market. Simpler Life also has a collapsible colander and collapsible funnel combo. This is a must-have kitchen gadget set. Each product folds to 1 inch, so it takes up very little space. Plus they’re so easy to clean! Just toss in the dishwasher!